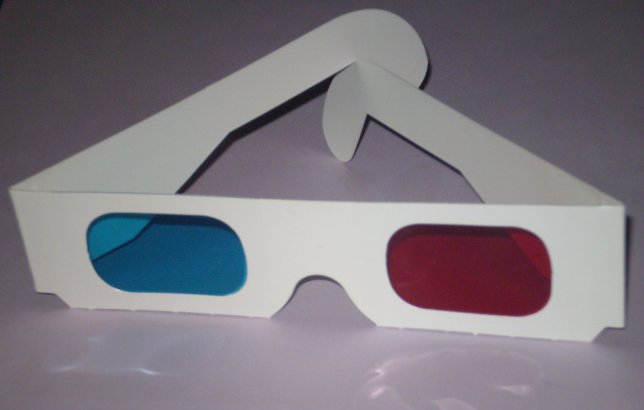 The viewer really needs to view the experience with a pair of red/cyan anaglyph glasses. Without these, the image looks out of focus and is not a very good experience. I always thought it would be fun to have a trebuchet launcher in Angry Birds. Additionally, I was curious about the workings of a trebuchet and how it differed from other ancient war machines such as a catupult, siege engine or ballista. This was the genesis of my project. After some googling, I learned that a trebuchet works much like a golf swing. A counterweight is drawn up to an initial starting position, and then gravity acts to lower the weight. As the weight drops, an opposing lever propels a sling which releases at a preset angle. I could have hard-coded the the initial weight height and release angles, but thought it would provide better challenge and sport to allow a game player to interactively select these. Again using the golf swing analogy, I modeled Testy Trebuchet to work much like an interactive video game of golf. Interactivity should be pretty self-apparent, especially for anyone who has played Angry Birds. The part that's differnt is the launching. The player depresses the mouse, holding the mouse button down until the counterweight is raised to the desired height. The stabilization block is removed as soon as the player depresses the mouse. Once the player releases the mouse, she waits until the machine reaches the desired launch orientation releasing the projectile with a quick click of the mouse button. this sketch was developed and tested on a desktop Processing 2.0 configuration. This page was last modified on 29 July 2013, at 14:26.